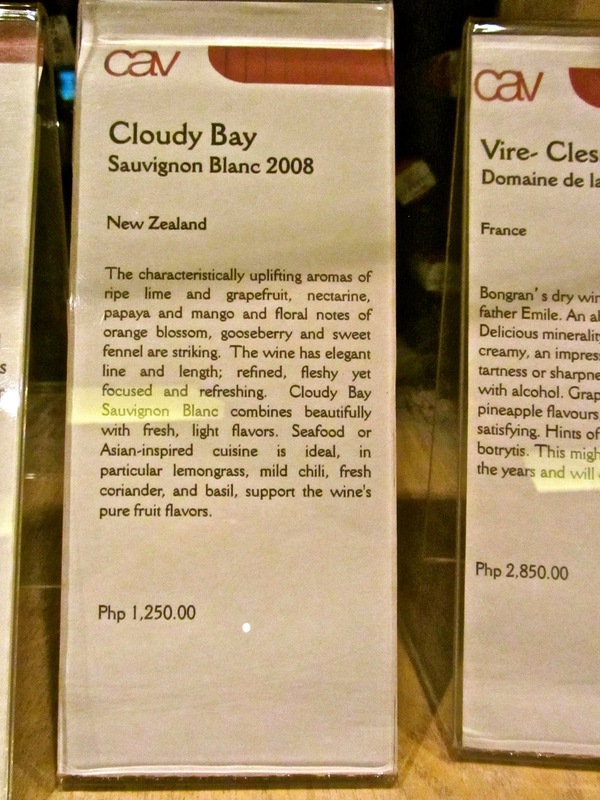 Cav at Bonifacio High st. is the perfect place to unwind and sip a glass of one or even a dozen wine varieties. 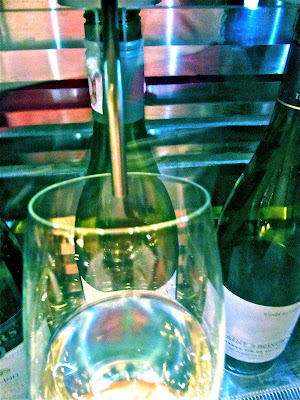 They give you a card - select your wine and decide whether you want to just taste that brand or have a half glass or have a full glass. 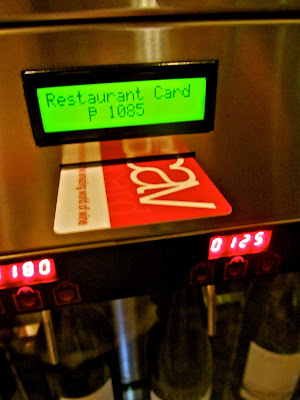 You can view the amount you have consumed when you insert your card. You can choose to have one card for everyone in your party or you can choose to go dutch and have one card each. 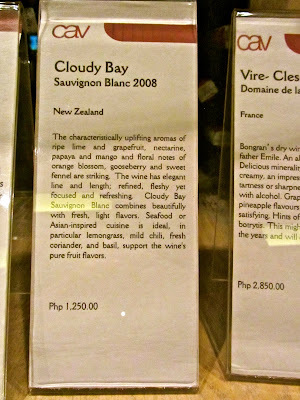 I love the Cloudy Bay Sauvignon Blanc. 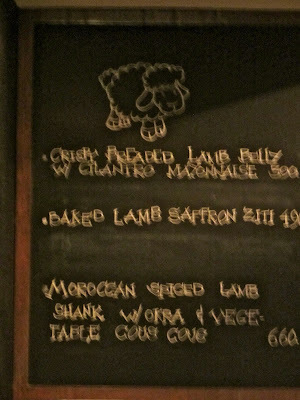 I think I had two glasses of this. I tried tasting quantities of the other white wine but this was what I loved best. 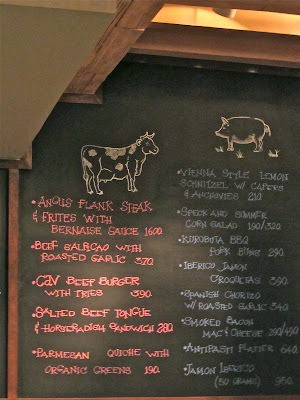 If you want to have dinner at Cav - you can definitely do that. 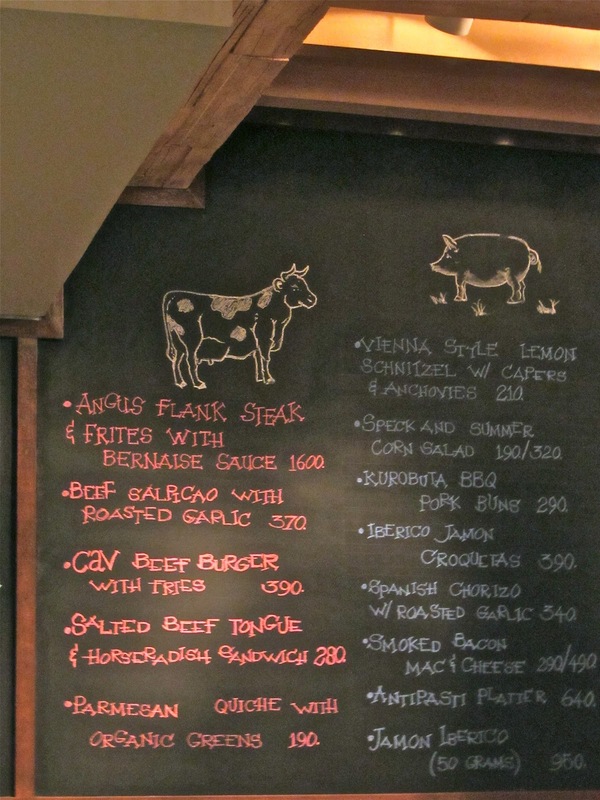 They've got a great selection of dishes. We didn't do that during this visit --- but I did write about our dining experience before.